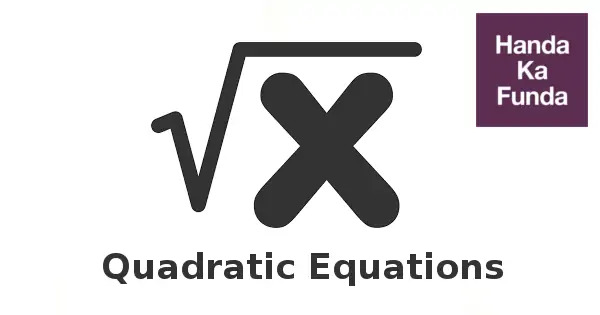 For this post, I am assuming that you are aware of the basics of quadratic equations and know how to use the above mentioned formula. In case you are not, spending five minutes on the wiki page of Quadratic Equations won’t hurt. Wikipedia can be daunting at times, so come back here as soon as you start feeling woozy. In this particular post, I am going to discuss ideas related to maxima and minima with respect to equations and quadratic equations in particular.The first thing that you need to understand is that a quadratic equation will either have a maxima or a minima but it cannot have both. 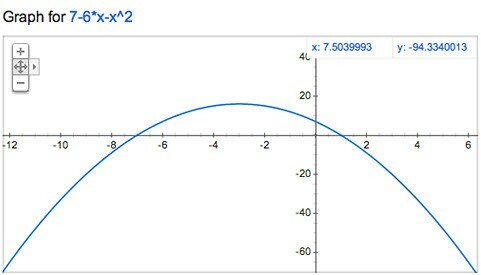 The reason for that is, a quadratic equation is shaped like a parabola which is either open upwards or downwards. The nature of the graph of the quadratic equation is decided by the co-efficient of x2. 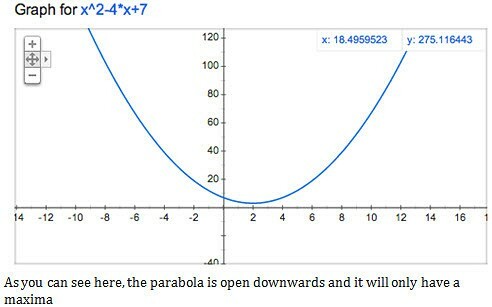 If the co-efficient of x2 is greater than 0, the parabola will be open upwards and hence it will have a minima. If the co-efficient of x2 is less than 0, the parabola will be open upwards and hence it will have a maxima. To make things a little more complicated, you might get a question in which the quadratic equation is in the denominator. It is sometimes also referred to as the rational function. Let me add that it is not necessary that you will always be able to find out the maximum and / or the minimum value of a rational function. You can also see Remainder Concepts for CAT – How to Find Out Remainder of a Number with Power? 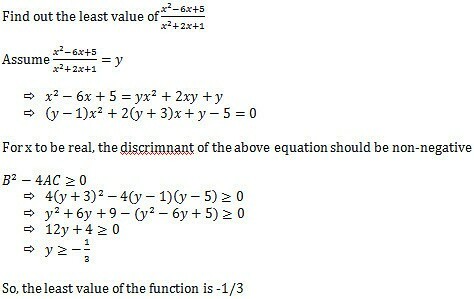 In example 1 , the function will have a maximum value at 5/2 or 5/4? If the ans is 5/2 then how did we arrive at that ?